Rift zones at the divergent plate boundary in Iceland consist of central volcanoes with swarms of fractures and fissures extending away from them. Fissure swarms can display different characteristics, in accordance with their locations within the ∼50-km-wide rift zones. To better discern the characteristics of fissure swarms, we mapped tectonic fractures and volcanic fissures within the Kverkfjöll volcanic system, which is located in the easternmost part of the Northern Volcanic Rift Zone (NVZ). To do this, we used aerial photographs and satellite images. We find that rifting structures such as tectonic fractures, Holocene volcanic fissures, and hyaloclastite ridges are unevenly distributed in the easternmost part of the NVZ. The Kverkfjöll fissure swarm extends 60 km north of the Kverkfjöll central volcano. Holocene volcanic fissures are only found within 20 km from the volcano. The Fjallgarðar area, extending north of the Kverkfjöll fissure swarm, is characterized by narrow hyaloclastite ridges indicating subglacial volcanism. We suggest that the lack of fractures and Holocene volcanic fissures there indicates decreasing activity towards the north in the easternmost part of the NVZ, due to increasing distance from the long-term spreading axis. 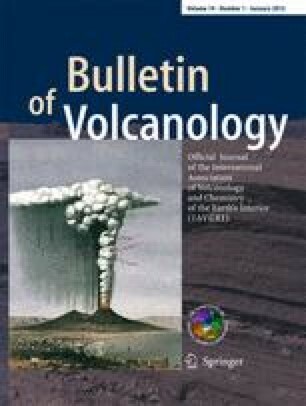 We argue that arcuate hyaloclastite ridges at the eastern boundary of the Northern Volcanic Rift Zone are mainly formed during deglaciations, when three conditions may occur; firstly, eruption rate increases due to decompression of the mantle. Secondly, the high tensile stresses accumulated during glaciations due to lack of magma supply may be relieved as magma supply increases during deglaciations. Thirdly, faulting may occur during unloading due to differential movements between the thinner and younger Northern Volcanic Rift Zone crust and the thicker and older crust to the east of it. We would like to express our gratitude to Gunnar B. Guðmundsson, who provided seismic data from the area, and to Bragi Benediktsson, farmer at Grímstunga, for his assistance during our field trip. Thanks are due to Haukur Jóhannesson and Kristján Sæmundsson who provided constructive suggestions. We would also like to thank the reviewers and editor of this paper: Simon Kattenhorn, Valerio Acocella, and Michael Manga for their valuable comments. This work was supported by the Icelandic Research Fund (Rannís) and the Eimskip Fund of the University of Iceland (Háskólasjóður Eimskipafélags Íslands).